How to Mute and Unmute Participants? 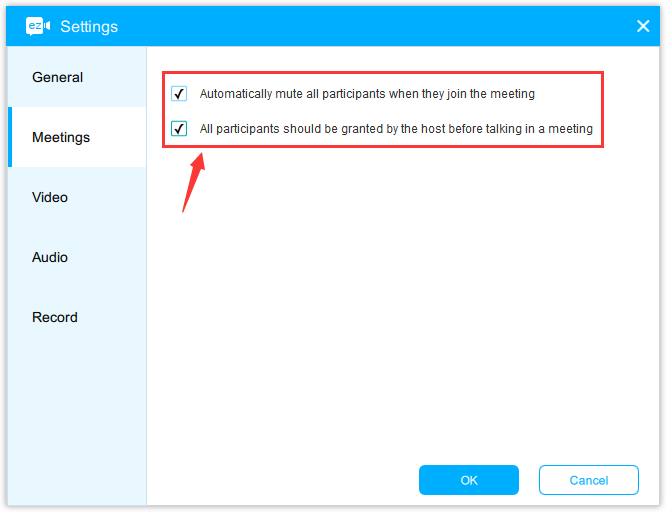 The host can mute/unmute all participants before joining the meeting and during the meeting. You can mute/unmute all new participants joining the meeting as well as those who are already in the meeting. 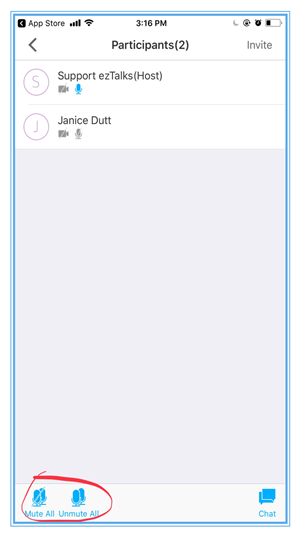 This article is about how to mute participants when you host meetings on PC and mobile apps. 2. 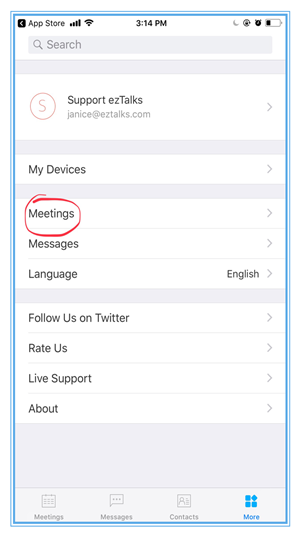 Go to the Meetings page and select the option of Automatically mute all participants when they join the meeting. The participants will be able to unmute themselves during the meeting. 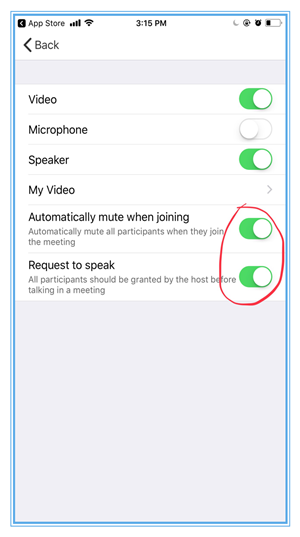 If you do not want the participants to unmute themselves, you can select the second option: All Participants should be granted by the host before talking in a meeting. 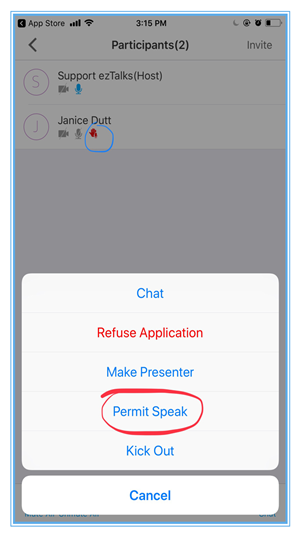 If the participants need to talk, they can click on the microphone icon and apply to talk. 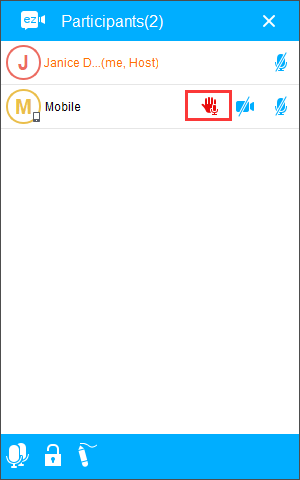 You will see the raising hand icon as below and click on permit speak. 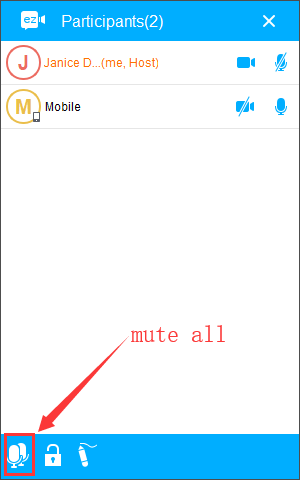 If you want to mute all again during the meeting, you can click on the Mute All icon as below. Learn more about how to manage participants. 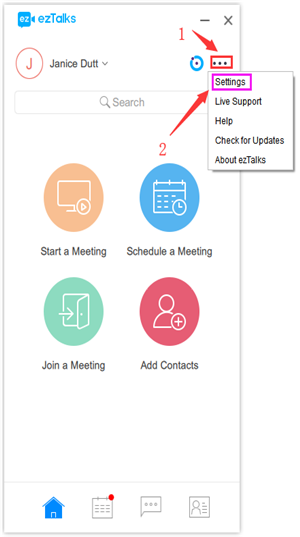 Sign in the ezTalks app on your iPhone, IPad or Android device. 3. Select the option of Automatically mute when joining. The participants will be able to unmute themselves during the meeting.